In order to ensure the highest quality sport surfacing results, SportMaster supplies the finest grade of tools for the job. 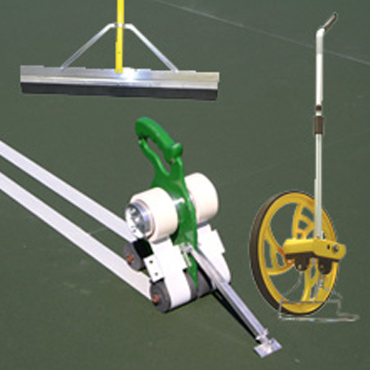 From the sport squeegee and patching straightedge, to the line taping machine, we carry many of the specialty tools used by professional tennis court surfacing contractors daily. A must tool for striping tennis courts, basketball courts, and other surfaces where precision markings are required. Lays down strips of 1” to 2” wide masking tape from 1 to 4 inches wide. washing gun for moving water off the court and more! The Lightweight Aluminum Squeegee includes a 1 3/8” diameter, 82” handle. Ideal for Tennis Court Coatings (with Sport Blade option). The smoothest patches ever in just one pass of the straightedge. 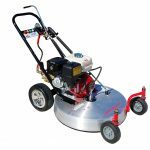 Ideal for patching and filling low spots in tennis courts, parking lots, and driveways. Makes patching a one-man operation. Lightweight yet durable metal construction. Available in 4, 6, 8, and 10 ft. widths. Includes wood handle.